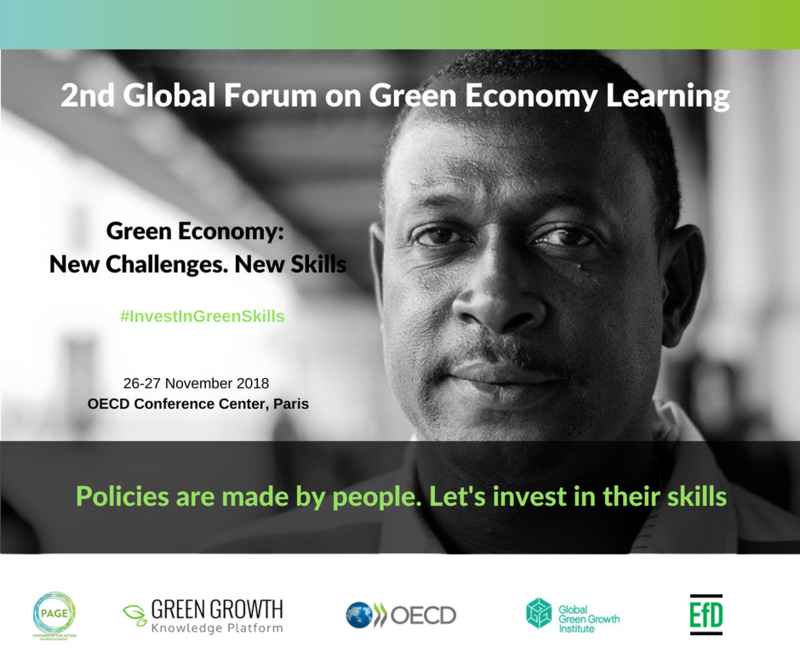 The 2nd Global Forum on Green Economy Learning will discuss the important role of knowledge and skills in designing inclusive green economy solutions. 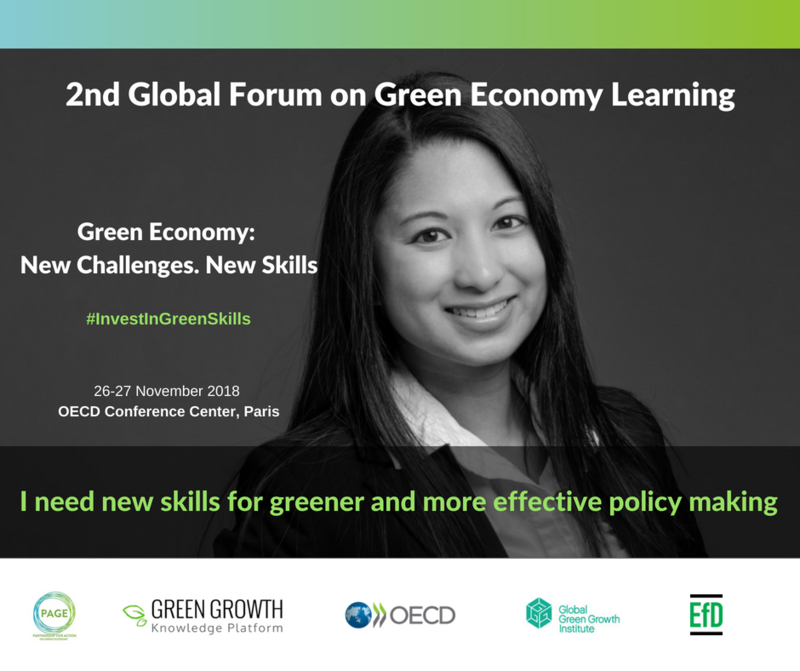 It will be held in conjunction with the Sixth GGKP Annual Conference and the 2018 OECD Green Growth and Sustainable Development (GGSD) Forum, 27-29 November 2018 at the OECD Conference Center in Paris. Together, the three events are aiming to address the political economy of green and low-carbon policy reforms, identify their distributional impacts, and explore inclusive solutions for households, workers, sectors and regions to help them contribute to a greener future. The Forum will focus on the issue of learning and skills development for current and future decision-makers, technical staff in Ministries and others involved in policy design and implementation.